11 | November | 2010 | can i just finish my waffle? Bobby Johnston, 12, with the Milton Lewis Young Marines, holds a wreath in honor of Operation Enduring Freedom during the Annual Veterans Day Celebration. 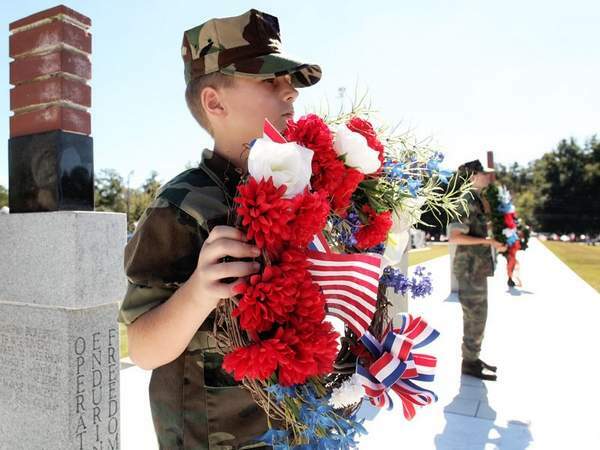 At 11 a.m. on the 11th day of the 11th month, hundreds of people were gathered at the Kanapaha Veterans Memorial to commemorate the sacrifices of millions of American military personnel.